New 2019 Subaru Impreza 2.0i. Optional equipment includes: All-Weather Floor Liners, Silver & Black Shift Knob - CVT, Cargo Tray, Cargo Net.... We Offer: Free Lifetime Service Loaners, Free Car Wash with Service and more. Call us at (847) 433-7900 for more detail information on this vehicle. We will NOT REFUSE any reasonable offers. New 2019 Subaru Impreza 2.0i. Optional equipment includes: Cargo Cover, All-Weather Floor Liners, Map & Dome Lights LED Upgrade, Cargo Tray, Cargo Net.... We Offer: Free Lifetime Service Loaners, Free Car Wash with Service and more. Call us at (847) 433-7900 for more detail information on this vehicle. We will NOT REFUSE any reasonable offers. New 2019 Subaru Impreza 2.0i. 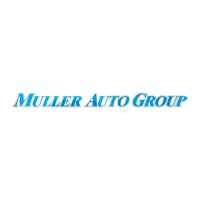 Optional equipment includes: Auto-Dimming Mirror w/Compass & HomeLink, Fixed Crossbar Set, Cargo Cover, All-Weather Floor Liners, Cargo Tray.... We Offer: Free Lifetime Service Loaners, Free Car Wash with Service and more. Call us at (847) 433-7900 for more detail information on this vehicle. We will NOT REFUSE any reasonable offers. New 2019 Subaru Impreza 2.0i. Optional equipment includes: Cargo Cover, All-Weather Floor Liners, Rear Bumper Applique, Cargo Tray.... We Offer: Free Lifetime Service Loaners, Free Car Wash with Service and more. Call us at (847) 433-7900 for more detail information on this vehicle. We will NOT REFUSE any reasonable offers. New 2019 Subaru Impreza 2.0i. Optional equipment includes: Auto-Dimming Mirror w/Compass, Cargo Cover, All-Weather Floor Liners, Cargo Tray.... We Offer: Free Lifetime Service Loaners, Free Car Wash with Service and more. Call us at (847) 433-7900 for more detail information on this vehicle. We will NOT REFUSE any reasonable offers. New 2019 Subaru Impreza 2.0i. Optional equipment includes: Cargo Cover, Splash Guards, Rear Bumper Applique, Rear Seat Back Protector, Cargo Tray, Cargo Net.... We Offer: Free Lifetime Service Loaners, Free Car Wash with Service and more. Call us at (847) 433-7900 for more detail information on this vehicle. We will NOT REFUSE any reasonable offers. New 2019 Subaru Impreza 2.0i. Optional equipment includes: Auto-Dimming Mirror w/Compass, Cargo Cover, Splash Guards, Rear Bumper Applique, Rear Seat Back Protector, Cargo Tray, Cargo Net.... We Offer: Free Lifetime Service Loaners, Free Car Wash with Service and more. Call us at (847) 433-7900 for more detail information on this vehicle. We will NOT REFUSE any reasonable offers. New 2019 Subaru Legacy 2.5i. . We Offer: Free Lifetime Service Loaners, Free Car Wash with Service and more. Call us at (847) 433-7900 for more detail information on this vehicle. We will NOT REFUSE any reasonable offers. New 2019 Subaru Impreza 2.0i Premium. Optional equipment includes: Auto-Dimming Mirror w/Compass, Aero Crossbar Set, All-Weather Floor Liners, Cargo Tray.... We Offer: Free Lifetime Service Loaners, Free Car Wash with Service and more. Call us at (847) 433-7900 for more detail information on this vehicle. We will NOT REFUSE any reasonable offers. New 2019 Subaru Impreza 2.0i Premium. Optional equipment includes: Auto-Dimming Mirror w/Compass & HomeLink, All-Weather Floor Liners, Rear Bumper Applique, Rear Seat Back Protector, Cargo Tray.... We Offer: Free Lifetime Service Loaners, Free Car Wash with Service and more. Call us at (847) 433-7900 for more detail information on this vehicle. We will NOT REFUSE any reasonable offers. New 2019 Subaru Impreza 2.0i Sport. Optional equipment includes: Auto-Dimming Mirror w/Compass & HomeLink, Fixed Crossbar Set, All-Weather Floor Liners, Rear Bumper Applique, Rear Seat Back Protector, Cargo Tray.... We Offer: Free Lifetime Service Loaners, Free Car Wash with Service and more. Call us at (847) 433-7900 for more detail information on this vehicle. We will NOT REFUSE any reasonable offers. New 2019 Subaru Crosstrek 2.0i Premium. Optional equipment includes: Auto-Dimming Mirror w/Compass, All-Weather Floor Liners, Rear Bumper Cover, Rear Seat Back Protector.... We Offer: Free Lifetime Service Loaners, Free Car Wash with Service and more. Call us at (847) 433-7900 for more detail information on this vehicle. We will NOT REFUSE any reasonable offers. New 2019 Subaru Legacy 2.5i Premium. Optional equipment includes: (0 P) Abyss Blue Pearl.... We Offer: Free Lifetime Service Loaners, Free Car Wash with Service and more. Call us at (847) 433-7900 for more detail information on this vehicle. We will NOT REFUSE any reasonable offers. New 2019 Subaru Forester . . We Offer: Free Lifetime Service Loaners, Free Car Wash with Service and more. Call us at (847) 433-7900 for more detail information on this vehicle. We will NOT REFUSE any reasonable offers. New 2019 Subaru Crosstrek 2.0i. Optional equipment includes: Popular Package #3, Auto-Dimming Mirror w/Compass & HomeLink, Cargo Cover, All-Weather Floor Liners, Cargo Tray.... We Offer: Free Lifetime Service Loaners, Free Car Wash with Service and more. Call us at (847) 433-7900 for more detail information on this vehicle. We will NOT REFUSE any reasonable offers. New 2019 Subaru Forester . Optional equipment includes: Cargo Cover, Splash Guards, All-Weather Floor Liners, Rear Seatback Protector.... We Offer: Free Lifetime Service Loaners, Free Car Wash with Service and more. Call us at (847) 433-7900 for more detail information on this vehicle. We will NOT REFUSE any reasonable offers. New 2019 Subaru Forester . Optional equipment includes: Auto-Dimming Mirror w/Compass, All-Weather Floor Liners, Rear Bumper Cover.... We Offer: Free Lifetime Service Loaners, Free Car Wash with Service and more. Call us at (847) 433-7900 for more detail information on this vehicle. We will NOT REFUSE any reasonable offers.